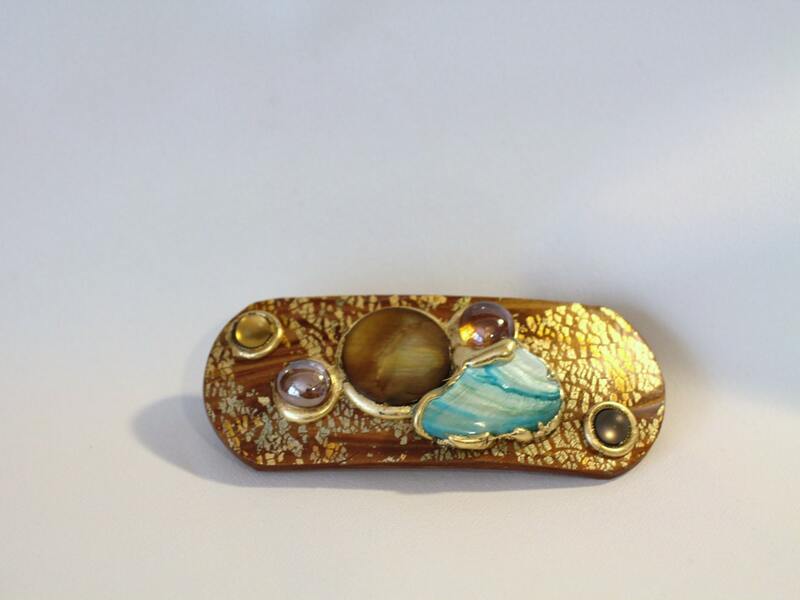 Natural shades of brown, gold, copper and turquoise on a hand shaped barrette. 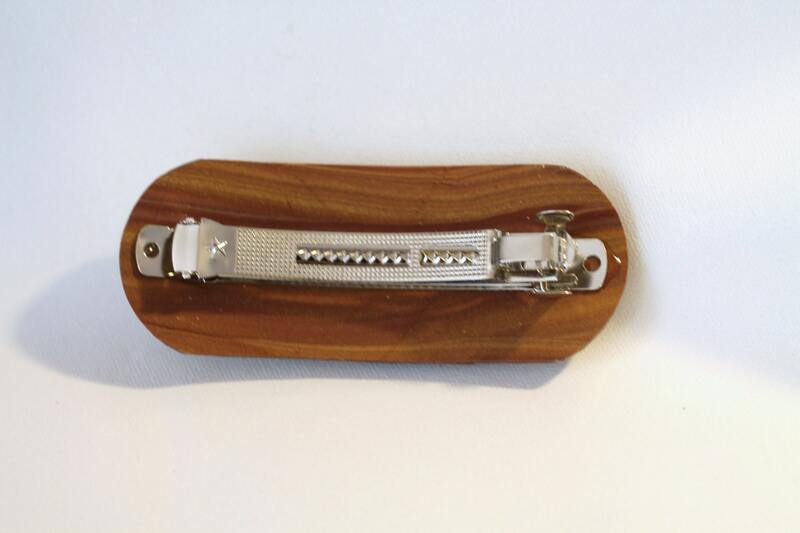 This women's hair clip is unique. 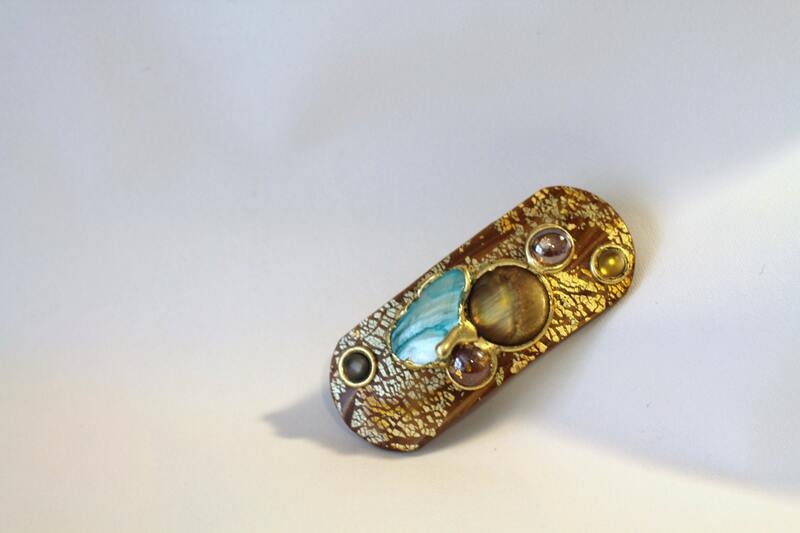 Natural elements of shell, stone and glass on a gold brushed barrette. 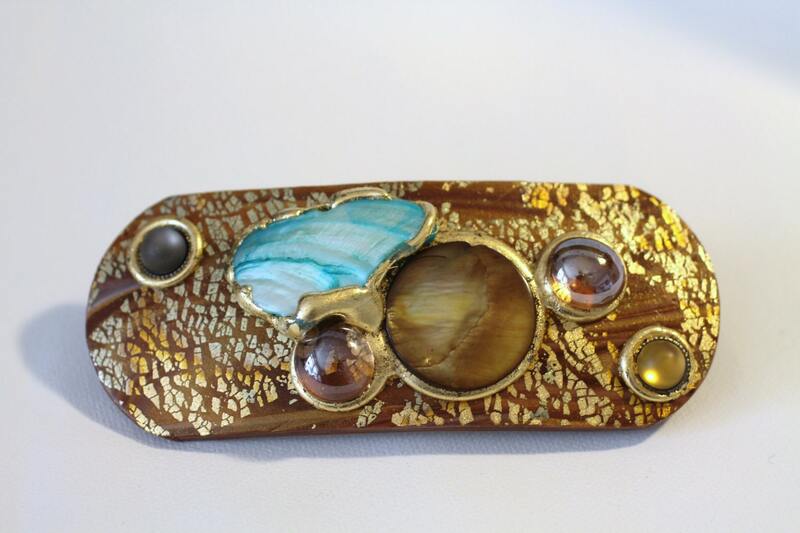 I love this clip for it's natural beauty, organic and perfect with any outfit. Wonderful to pin up a messy bun or pull back your side bangs. The barrett didn't work out for me so I had to return it. My five star review is for the ease of return, the speed in the refund, and the fact that unlike most even large retailers the shipping was refunded. 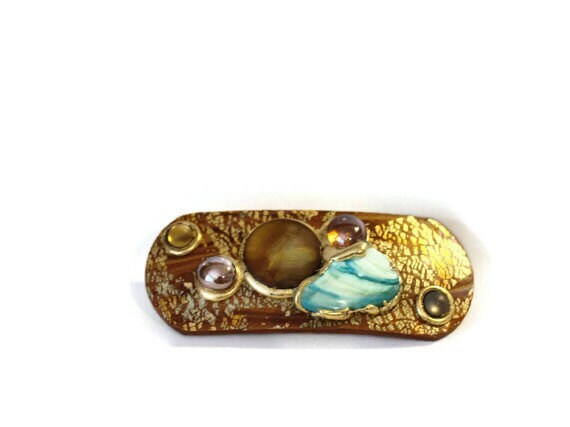 The barrette is very pretty & the seller was extremely responsive to convos!